NPL Organ Support is an all-in-one organ defense supplement for your liver, heart, prostate and skin. This product has been designed for experienced athletes and lifters wanting to cover all their nutritional needs. Today’s fast-paced lifestyles with athletes committed to busy social and entertainment schedules may find Organ Support beneficial in keeping them on track to reach their fitness goals. Milk Thistle has been used for thousands of years to treat various ailments. Its main use today is for liver health, being able at removing toxins from the liver. A complimentary ingredient that has been added is Glutathione which is a powerful antioxidant. Milk Thistle preserves stores of this important nutrient. Coenzyme Q10 is responsible for energy production in our bodies. Several diseases are associated with low COQ10 levels. A few studies have shown positive results in treating benign prostatic hyperplasia (BPH) with Saw Palmetto, which has been included in the formulation. An 8 week study of eight males and 6 females who took 210 mg / day of Milk Thistle showed a 53% reduction in acne lesion count. In addition to Milk Thistle, Zinc has been added as serum zinc levels are lower in people with severe acne than those without. NPL realised that many athletes have busy social schedules which place a demand on their bodies. Organ Support helps to maintain fitness goals during these busy periods of social activity. This product is manufactured in a facility that uses raw materials containing Soya, Cow’s Milk, Gluten, Fish, Nuts and Shellfish. • Take a serving after breakfast. • Can be used daily. If you suffer from any of the following conditions: cardiac disease anxiety or depression, diabetes or you are using the prescription medication, for blood thinning, such as Warfarin or for thyroid hormone. Women with a history of breast cancer, uterine fibroids, endometriosis, or ovarian cysts should avoid using this product. Discontinue use of this product at least 2 weeks prior to any planned surgical procedure. Inform your health care professional if you are taking other medicine. If you are pregnant or breastfeeding please get advice from your health care professional before taking this medicine. Discontinue use of this product if you experience over sensitivity towards any of the ingredients. Absolutely love this product. NPL is a quality brand. I only use their products. 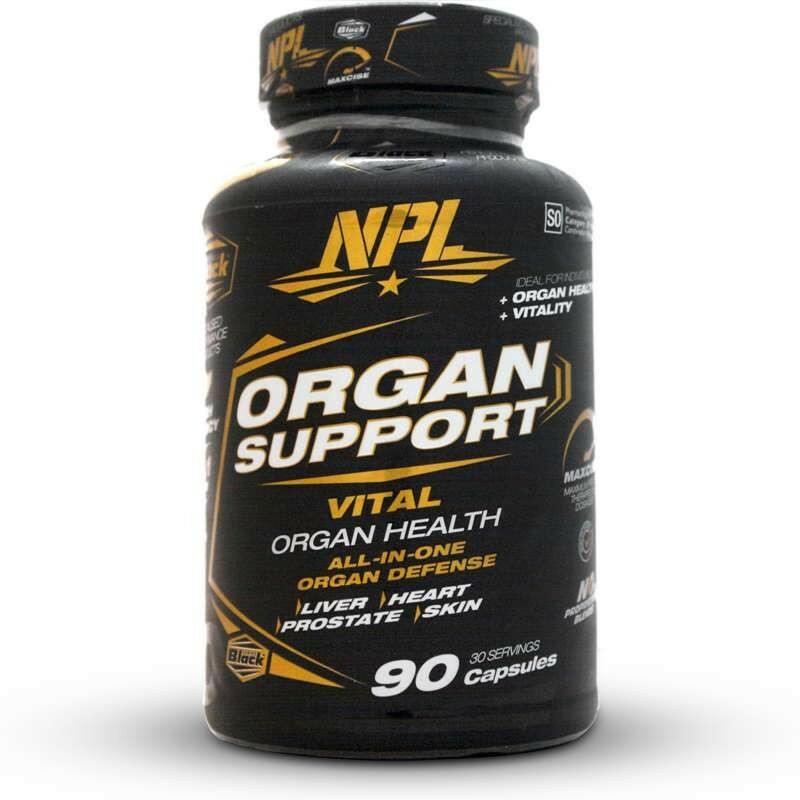 The NPL organ support help me a lot, by using this product the lower back pain i once had was relieved and the joints where loosen.